If I were a professor teaching the art history of comics, what would I use as my Janson's History of Art or Gardner's Art through the Ages (two art history survey texts that were popular when I was an undergrad)? Two candidates have been recently published. 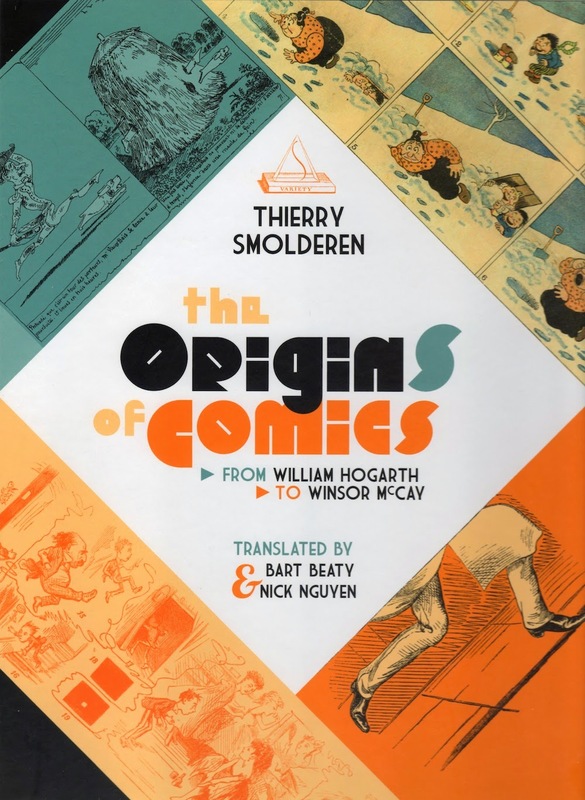 The Origins of Comics: From William Hogarth to Winsor McCay by Thierry Smolderen (translated by Bart Beatty and Nick Nguyen) covers the very early history of comics, while Comics: A Global History, 1968 to the Present by Dan Mazur and Alexander Danner, deals with the recent history of comics. American comics fans understand that there are comics all over the world, but have little knowledge of the histories of those comics. In terms of comics history (much less the art history of comics history), nothing could be more limited and useless than the American fannish' schema that divides all comics worth discussing into "ages": "golden age," "silver age," "bronze age" and so on. This history narrows comics history to American superheroes published since the first appearance of Superman. While this is obviously limited--by time (ignoring comics' long history before Superman), by region (ignoring all non-American comics), by genre (it ignores anything that isn't a superhero), by delivery system (it ignores almost anything that didn't originate as a comic book) and by style (it ignores almost anything created outside the ultra-constrained "house styles" of the large corporate superhero comics publishers)--it is nonetheless ubiquitous in much fan-oriented discussion of comics history in the U.S. While it is too much to hope that these two books break through the parochialism of the average American comics fan, one could hope that these books might be adapted for classroom use by those teaching comics history, where they could do some good. I remember being astonished by the films I saw in McEvilley's class as a neophyte film buff--and enthralled by A Short History of the Movies by Gerald Mast (1981), the text for the class. I read and reread that book until it fell apart. 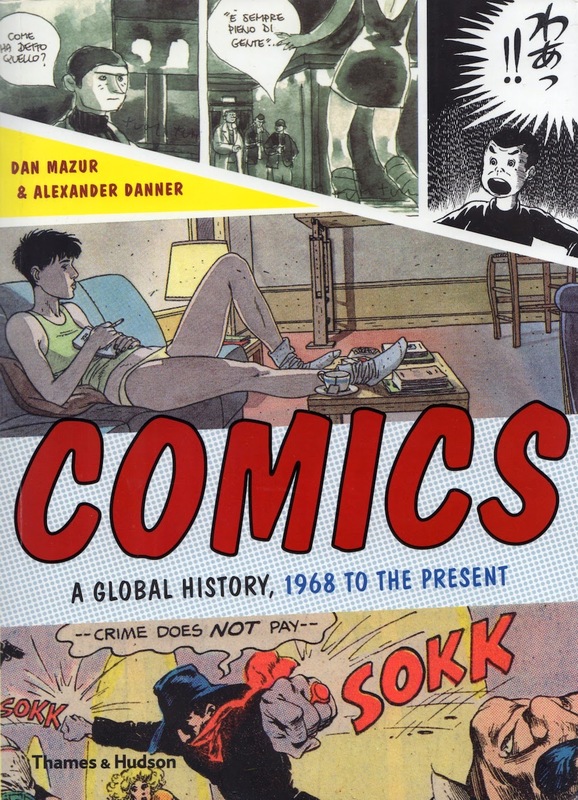 If Comics: A Global History, 1968 to the Present or The Origins of Comics had a similar effect on some current undergraduate, the authors would have reason to be proud. The two books are quite different in tone, but their similarities are what make them plausible candidates for classroom adoption. Each is well-designed, featuring substantial numbers of illustrations--specifically reproductions of entire pages of work. Both books recognize that showing sequences--such a basic feature of comics-- is necessary. Isolated panels or images are not enough. In addition to reproducing full pages of comics, the books reproduce much of their work in color. They are handsome volumes whose arguments are greatly aided by the design decisions. In looking at these books, I don't want to approach them purely as works of critical art history, even though they are certainly that (The Origins more than Global History). I want to also look at them from the point of view of Janson or Gardner or Mast--books that introduce a reader to a broad swathe of art history. I want to consider them as the kind of books that might get assigned in an art history of comics university class. How effective would they be if used for this purpose? The Origins of Comics is less a general art history than a thesis about the development of early comics. This means that while it might be a good text for a more specialized class or an excellent book to refer to for a research paper, it would not necessarily be a good book for a comics history survey class. This is not really a criticism. The Origins actually functions very well on two levels. 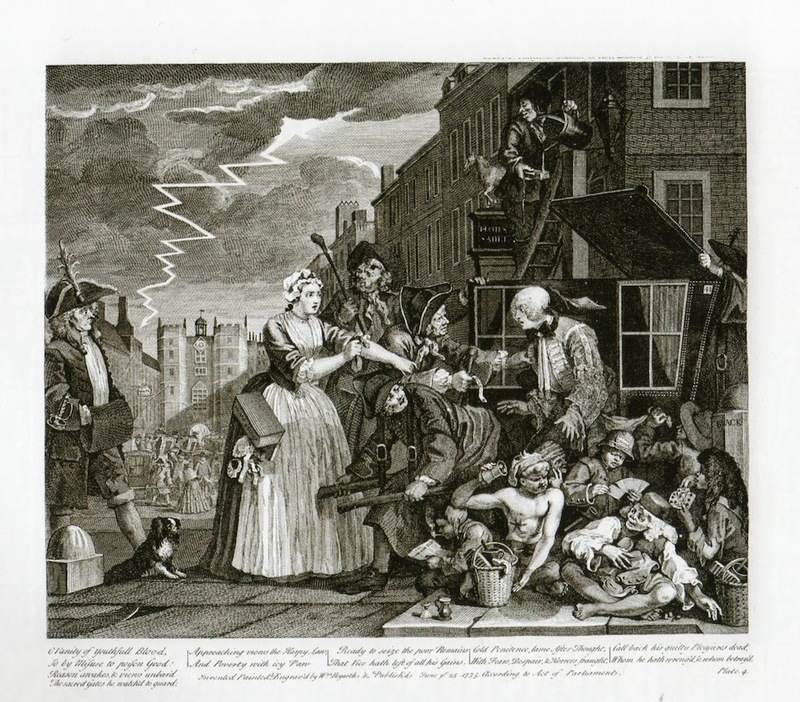 First, it makes a case for situating the origin of comics with William Hogarth, but more important than that, it places the early development of comics within the context of other contemporary arts (the novel, photography, pantomime) and theory (Lessing's "Laocoon: An Essay on the Limits of Painting and Poetry," for example). The other level on which The Origins succeeds is as an illustrated book. I would go so far as to say that even if one didn't read the text and only looked at the illustrations and their captions, one would get the gist of the book--that comics are a thing that have been around for at least a couple of hundred years. It would be hard for even the most curmudgeonly American super-patriot to argue in favor of an American origin for comics after flipping through this book. Not that Smolderen is the first to make this observation. 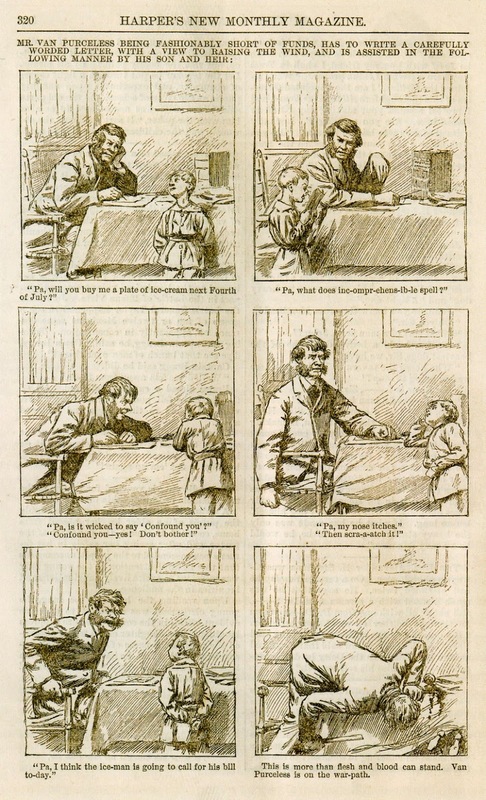 David Kunzle's amazing (and sadly out of print) The History of the Comic Strip,The Nineteenth Century (1990) demonstrated the pre-Yellow Kid origins of comics beyond the shadow of a doubt (and Smolderen depends on Kunzle's scholarship to help him build his case). The only reason I mention this is because even today, there are still many who cling to the idea that comics were born in American newspapers in 1897. But the title, The Origins of Comics, might lead one to believe that Smolderen is primarily making a case for William Hogarth (1697-1764), the artist who created the novelistic print series A Harlot's Progress, A Rake's Progress, Marriage ala Mode and others, as the father of comics. And Smolderen does make this case, but that is only a small part of the book. The task of the rest of the book is to demonstrate that this vaguely defined polygraphic quality carries on after Hogarth through the 19th century and is a quality that we can associate with comics in general. After discussing Hogarth and his work, Smolderen moves on to Rodolphe Töppfer (1799-1846), the Swiss artist that many consider the true father of comics. Töppfer's early comics are fairly well-known--they were widely translated and published in the 19th century and you can even get a current edition of his complete works in English . Smolderen places this work within the world of theater (Topffer was an avid amateur actor). 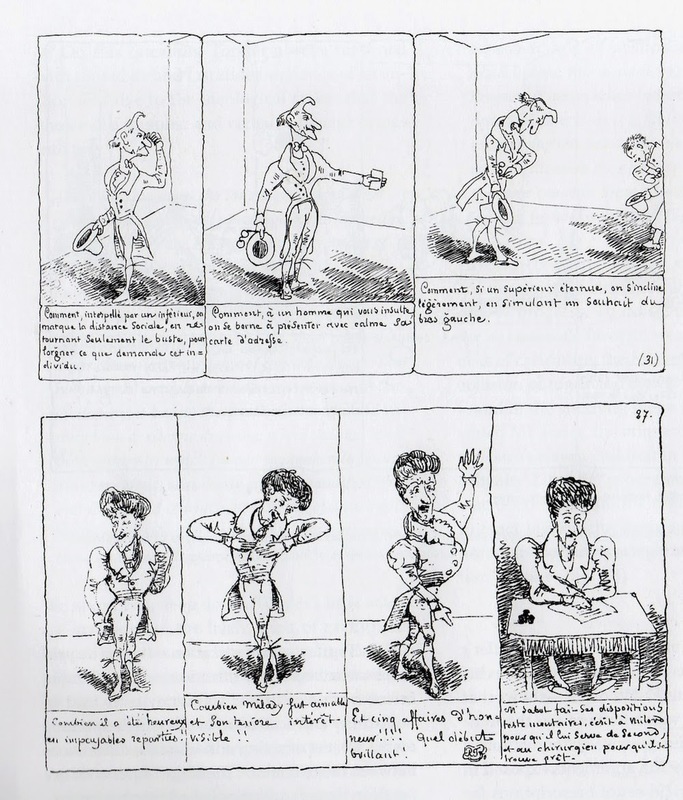 Smolderen relates Töppfer's use of sequential gestures in his picture novels to the theories of acting and pantomime that were common at the time. For a visual artist like Töppfer, various theories of theater--among others, Smolderen specifically references Gotthold Ephraim Lessing's Laocoon, which theorized in favor of a poetry of progressive actions as opposed to descriptive poetry--spoke to a way out of detailed, realistic academic images and into sequential storytelling with images. Rodolphe Töppfer, (top) from Histoire de M. Crépin, 1837 and (bottom) from Histoire de M. Jabot, 1833. These series of gestures are similar to the rhetorical gestures employed by actors and illustrated in contemporary instructional texts for dramatists and actors. Smolderen seems to have read every scrap written by Töppfer--essays, novel, letters--and synthesized a theory of comics from it. Töppfer was by no means as rigid as Lessing, and his work was "polygraphic"--it constantly undermined its subjects, as befits satirical work, but also undermined its own storytelling conventions. We're used to seeing this in modern comics, where there are long-established conventions that are quite easy to toy with. Töppfer on the other hand barely gave his readers a moment to understand his newly created manner of storytelling before he undermined it. Töppfer's innovations were eagerly imitated in Europe and the United States by such artists as Gustave Doré (1832-1883), George Cruikshank (1792-1878) and Cham (Amédée de Noé, 1818-1879), who redrew some of Töppfer's books for publication in magazines. To modern readers, many of these subsequent comics will seem like backwards steps away from our modern conception of comics compared to Töppfer's original picture books. This effect will be familiar to students of art history--when we see still-life paintings from the Dutch Golden Age, we are impressed by their charm and the artistic skill on display, but their complex layers of visual symbolism usually require expert explanation. 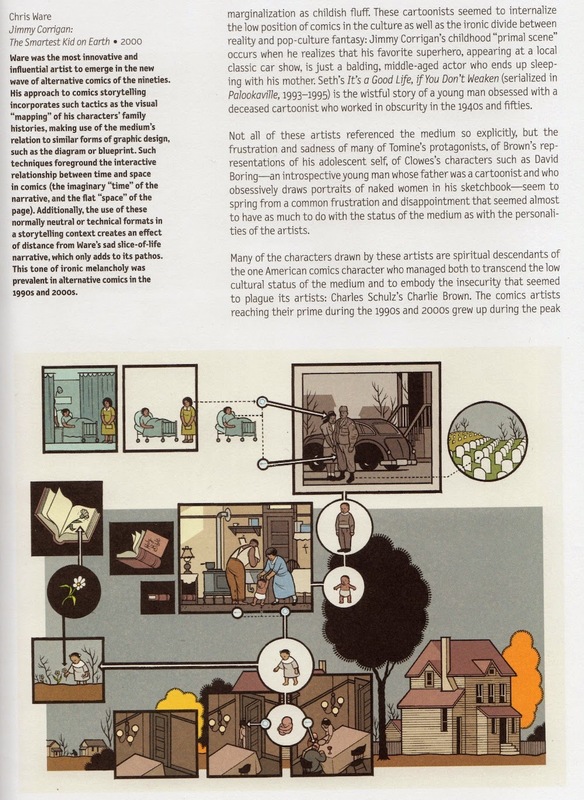 Ironically, some contemporary cartoonists whose high level of invention makes their work challenging to readers--Gary Panter and Chris Ware, for example--have deliberately abandoned the mechanical "cinematic" progression that has typified comics for just over a hundred years. Their work occasionally has an odd "19th century" feel to it. A. B. Frost, from Stuff and Nonsense, 1884. 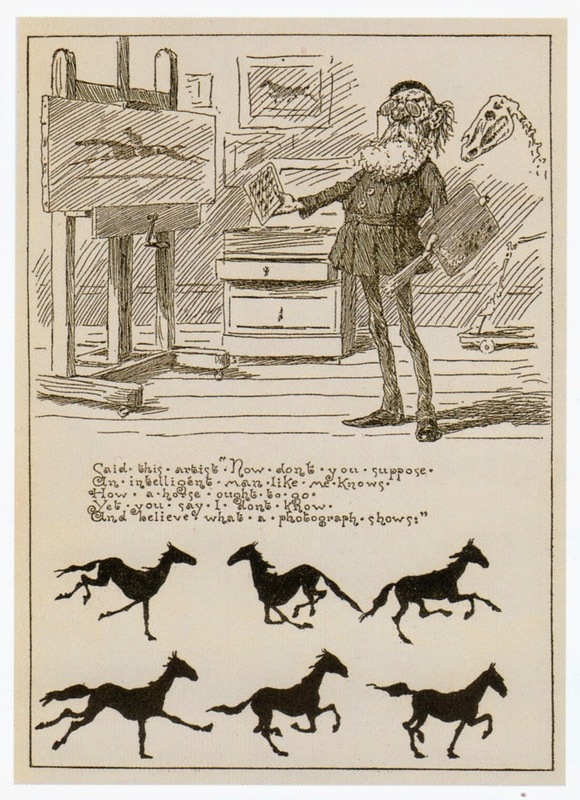 Frost makes fun of an old-style painter who refuses to incorporate the new knowledge of horse movement, discovered photographically by Muybridge. Subsequent chapters take the development of comics throughout the 19th century for granted. Now the question is not "Is this a comic?" but rather "How are comics evolving?" New technologies, as mentioned above, affect this development. Photography not only changes the physical production (photoengraving removes the need for laborious wood engraving and allows drawn artwork to be reproduced directly) but also the content. One chapter deals with cartoonist A.B. Frost (1851-1928), a student of Thomas Eakens, who was influenced by the motion-capturing photographic experiments of Eakens and Eadweard Muybridge. Another chapter deals with the relatively late importation of the word-balloon from satirical and political drawings (such as those by Thomas Rowlandson) into picture stories. Each of these developments evolves the 19th century comic a little more towards the art form we are familiar with. The Origin of Comics is an excellent work of scholarship, but because of this it might not be a very good introductory text for classroom use. It presents original research and proposes novel theories--neither of which are what you really want in a survey textbook. This is not to say that students of the comics form shouldn't read this book--on the contrary, it is, as far as I know, the only book currently in print that deals with the broad, international landscape of 19th century comics. It's an erudite, eye-opening study, translated into clear, readable English. A better candidate for a survey of the art history of comics is Comics: A Global History, 1968 to the Present . The starting year for Global History seems a bit arbitrary. It opens with American underground comics which exploded onto the scene in 1968, and they reflect the seismic upheavals occurring all over the world in that fateful year. But while American undergrounds are a decisive break with tradition, such breakages happened even earlier in France and Japan. Given this, one wonders why Mazur and Danner didn't pick 1964 as the starting year. Or they could have picked 1962, the year that saw the publication of Jean-Claude Forest's Barbarella. Choosing 1968 suggests an America-centric focus, which fortunately is not carried through the remainder of the book. Nonetheless, by picking the 60s as the starting decade, Global History is focusing on the era of comics-as-art, an era of "personal expression and creative freedom." This is not to suggest that personal expression and creative freedom are necessary for creating artistically excellent comics--this is obviously not true. Look at the work of Frank King, Harry J. Tuthill, George Herriman, E.C. Segar, etc. Conversely, most comics created under conditions of total artistic freedom are undistinguished. The revolution that started with Garo and the undergrounds didn't necessarily make comics better, but it did broaden our conception if what comics could be. Global History is in effect two things combined--an annotated list of great comics and a history of comics. It's hard to pull this off. There have been numerous examples of the former (I helped write one such list for The Comics Journal in 1999. Other examples include 500 Essential Graphic Novels by Gene Kannenberg and 1001 Comics You Must Read Before You Die by Paul Gravett). As for histories of comics, they're too numerous to mention. But they differ from Global History in concentrating on personalities, business history and the culture of the comics world(s). Global History can't help but touch on some of that, but its focus is on the works within the context of history. Comics, A Global History p. 239. The page design emphasizes multipanel sequences and breakdowns. Global History tells three parallel stories: English-language North American comics (primarily from the U.S.A.), Japanese comics, and French-language comics (primarily from France). Work in other languages and from other countries is touched on--comics from Spain, Italy, the UK, Belgium, Germany, Argentina and Korea get decent treatment. But many other national and linguistic traditions of comics are passed over, which will disappoint fans of Mexican or Australian comics, for example. There are by necessity other omissions and slights, as well as inclusions that may seem inexplicable. To list them would simply reveal my biases, though. Suffice it to say that as the volume gets closer to the present day, the choice of what comics to discuss gets more problematic. History hasn't had time to form a consensus yet for many of these comics--this is one pitfall of writing an art history survey that effectively goes up to the day the authors turned their manuscript in to their publisher. Each geographic/linguistic area is broken down further into "mainstream" and "alternative." This feels a little jarring, but Mast also dealt with this dichotomy in film. While the 60s saw the birth of a comics culture that put artistic and expressive considerations first, most comics were still primarily commercial propositions. This means that an unfortunate amount of space is devoted to the market for comics in each country and the business of comics. One might wish that these things were irrelevant to the art history of comics, but that is not the case. 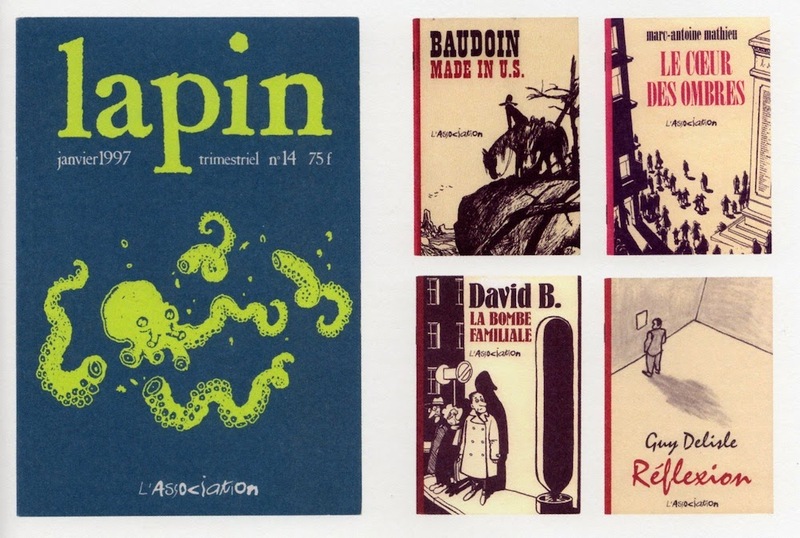 Lapin, the square-bound anthology magazine of L'Association, deliberately set itself apart from the glossy French comics magazines of the 70s and 80s. Releasing black-and-white minicomics, such as the ones on the right, aligned L'Association more with the American small-press moviement than with the mainstream French publishing industry. For example, Global History describes how France in the 70s saw the founding of L'Écho des Savanes (1972), Metal Hurlant (1975) and (À Suivre) (1978), artist-driven (and in some cases, artist-run) publications, and Futuropolos (1972), an artist-driven comics publishing house. Each offered considerable freedom to their creators and were venues that hosted comics of real artistic merit by such cartoonists as Moebius, José Muñoz and Carlos Sampayo, and Jacques Tardi. But these magazines over the course of the 80s found themselves struggling and the comics art in them stagnating. Many ended up purchased by corporate publishing entities, under whom quality deteriorated even further until finally the plug was pulled. Even Futuropolis was sold to publishing giant Gallimard before being retired as an imprint in 1994. The French comics industry had by that time become increasingly conservative, putting out hardcover albums by known quantities and sure sellers. This is spelled out in chapters 8 and 9, but the story picks up again in chapter 16, where we see the birth of L'Association, another artist-run publishing house founded more-or-less as a spin-off from Futuropolis in 1990. If the big corporate publishers were intent on strangling creativity in favor of proven commercial properties, artists would have to seize the means of production themselves. In a sense, we see this story over and over again in various countries at various times. This may feel to a casual reader a bit extraneous to the primary subject of Global History, but this cycle is a key feature of the history of art in capitalist countries, and therefore deserves to be discussed in an art history text. But the discussion of this is in passing. The authors dwell more on particular artists and writers and particular works. No artist is discussed at length--the format of the book doesn't permit it. But some artists and works are mentioned very briefly, primarily as exemples of a certain tendency or movement, while others are given more space to explain their relative importance: Robert Crumb, Yoshiharu Tsuge, Hugo Pratt, Alberto Breccia, Jacques Tardi, Alan Moore, and so forth. Occasionally, space is given to artists who are important in their own country's tradition, but are little known outside of it--for instance, the work of shōjo manga artist, Yumiko Ōshima, and the feminist comics of Chantal Montellier. Only one artist gets his own chapter, Osamu Tezuka. 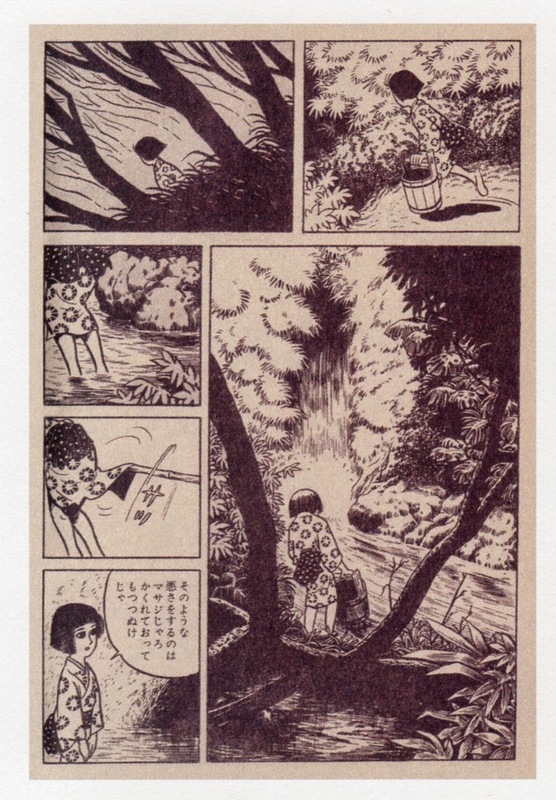 It's a brief chapter dealing with Tezuka's often quite pessimistic work for seinan (young men's) manga in the 1970s (for example, Ode to Kirihito). One of the problems with Global History is made obvious in this chapter--many comics artists have long careers, and the time period for this volume means cutting those careers in half. Tezuka's late work is well-respected and Tezuka, like Leoš Janáček or Philip Guston, is notable for drastically changing direction at an age when most artists are very much settled in their ways. 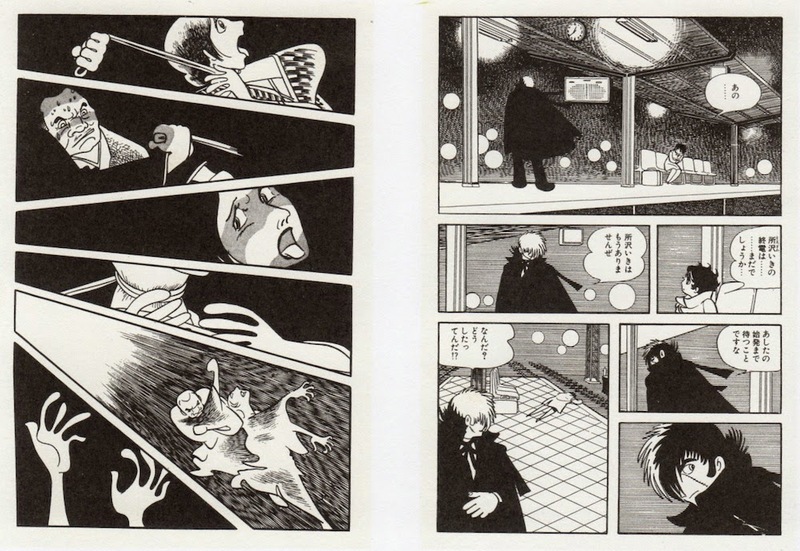 But to discuss Tezuka without discussing his early work is a bit strange but necessary given the structure of the book. Most knowledgeable comics readers would, if tasked with writing a book like Global History, would come up with books that have different emphases and vastly different details. That is the inherent problem of books of this sort, but it's far from fatal. These books are designed to lead a relative novice in--her future path (for scholarship or deeper reading) might be encouraged by a single paragraph here or illustration there. Global History is not meant to be the last word on its subject--it is, on the contrary, the first word. It will be, I hope, the starting point for young scholars and enthusiasts in the same way that Gardner, Janson and Mast have been.